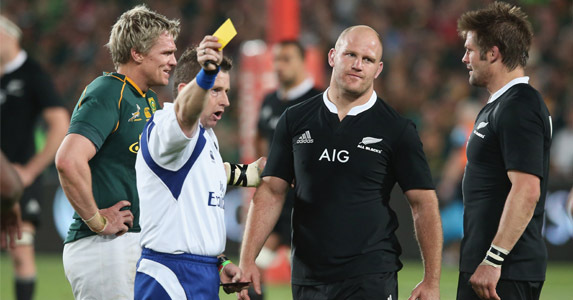 FRESH FROM his exemplary performance during the match-for-the-ages between South Africa and New Zealand in the last round of the 2013 Rugby Championship, Nigel Owens has been handed another big game to officiate. Racing Metro and Clermont Auvergne will lock horns on Sunday in one of the picks of the opening round of the Heineken Cup and the most capped Welsh referee will be in the middle of the all-French affair at the Stade Yves-de-Manoir. 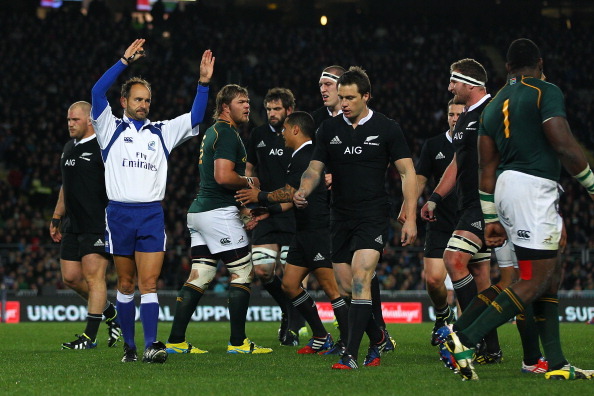 Other notable selections of referees sees the man responsible for red carding Bismarck du Plessis during the round three Rugby Championship match between New Zealand and South Africa, Romain Poite, in charge of Ulster versus Leicester Tigers on Friday night, George Clancy whistle through French champions Castres taking on Northampton Saints at Stade Pierre Antoine, Wayne Barnes running Ospreys versus Leinster and Jerome Garces overseeing Exeter Chiefs versus the Cardiff Blues. While some nations are not represented by referees in the Heineken Cup, there is more scope to be seen in the Amlin Challenge Cup. Marius Mitrea of Italy will be covering the Gallic battle between Bayonne and Grenoble while his compatriot Giusseppe Vivarini will be refereeing the game between Top 14 force Stade Francais and late Amlin entrant from Portugal, Lusitanos XV. Scotland’s Andrew McMenemy and Neil Paterson are also in action with the former overseeing the Bucharest Wolves versus Newcastle Falcons and the latter looking after Bordeaux Begles against Bath. Romania’s Vlad Iorddescu will also be running the rule over London Irish’s home fixture against I Cavalieri Prato from Italy.